CrossFit Funky’s 2nd in-house couples competition. Let’s do this more often! If you’re like me, summer time has gotten the best of you when it comes to nutrition. With all of the birthdays, cookouts, festivals, & ice cream (thanks Schneiders lol, jk), it seemed like sticking to a healthy diet was darn near impossible! 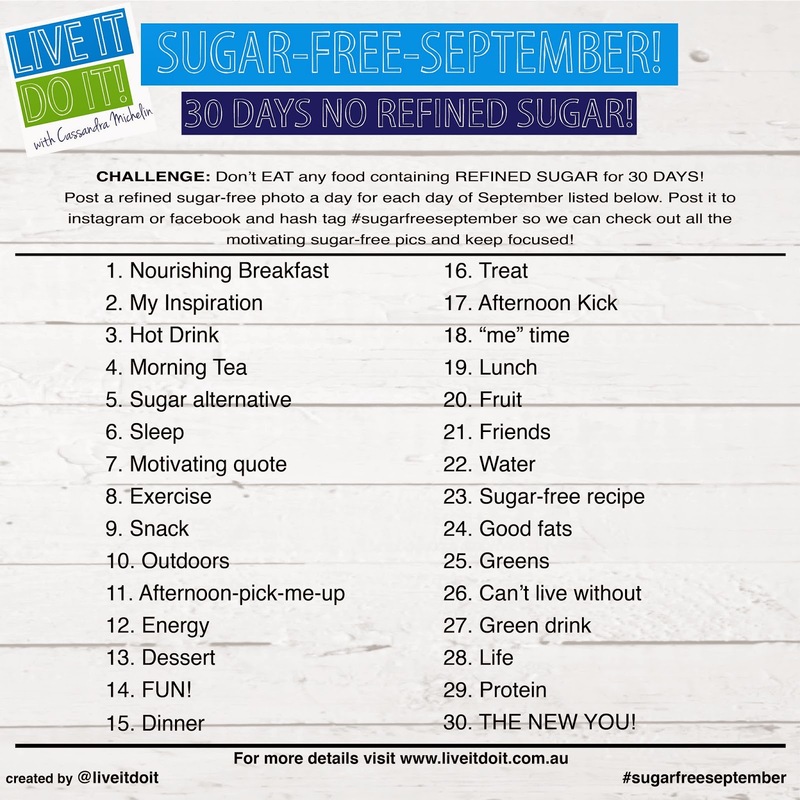 So to say goodbye to summer and summer time food, I’ve decided to take the Live It Do It, “Sugar Free September” challenge and I’d like to invite all of my Funky Family to join me! 1. Don’t eat any food containing refined sugar for 30 days starting at the beginning of September 2015. 2. 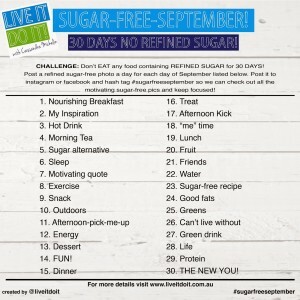 Post a refined-sugar free photo a day for each day of September from the list to instagram or facebook and hash tag #CFFSugarFree so we can check out all the motivating sugar-free pics and keep focused. 3. JOIN OUR FACEBOOK SUPPORT GROUP! If you are having a hard day and need support or have a question please don’t hesitate to get to post on our facebook page for support and to motivate others! 4. REMEMBER TO TAKE A BEFORE & AFTER PHOTO! Because the Single Best Thing You Can Do For Your Health is to Stop Eating Sugar!! To clean up your diet! Cravings will be beaten in Force in a supportive environment! Drop a few pounds and get back on track BEFORE the Holidays! Pump up your energy levels and feel fabulous! Get the glow back in your skin! The best way to get your kids to cut back on their sugar intake is to be a good role model by scaling back on your own sugar consumption.